Looking for Information on the Equifax Data Breach? Our privacy attorneys have recently filed a class action lawsuit against Equifax alleging that the company failed to secure the personal information of up to 143 million Americans, including addresses, driver’s license dates of birth, credit card details, Social Security Numbers, and other data. Visit our Equifax webpage for more information about the case and how to get in touch with one of our privacy attorneys. Gibbs Law Group’ privacy lawyers help people across the country protect their privacy rights and seek redress when privacy violations occur. In the modern economy where sensitive personal information – including medical, financial, and other personal records – is stored electronically, protecting personal information is increasingly difficult, but still vitally important. Modern consumers need to be particularly careful about data brokers collecting their information, and companies they interact with keeping their data indefinitely. The information becomes dark data that the company may monetize and sell at some unknown time in the future. These cases involved cutting-edge privacy issues and implicated laws designed to protect against privacy breaches in the digital age. Affected by a Privacy Violation? Understand your rights in a world where sensitive information is digitally processed, stored, and shared. 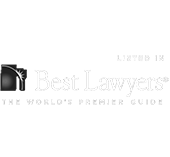 Call or message us for a free, confidential consultation with a privacy lawyer.